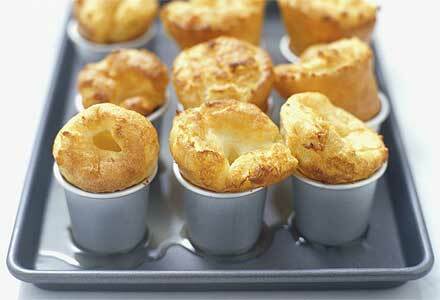 Yorkshire pudding is a dish that originated in Yorkshire, England, and has attained wide popularity. It is made from batter and most often served with roast beef, chicken, or any meal in which there is gravy. Left: Mini Yorkshire puddings, served as part of a traditional Sunday roast. 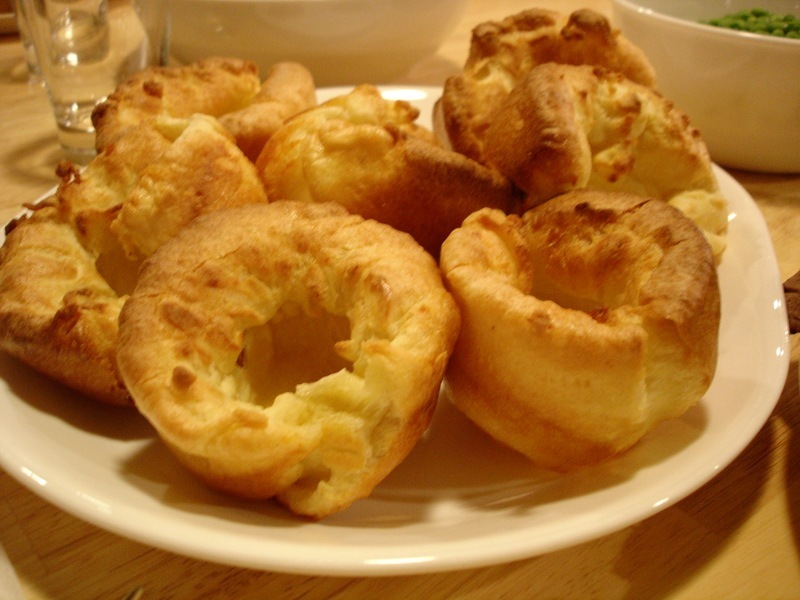 The Yorkshire pudding is a staple of the British Sunday lunch and in some cases is eaten as a separate course prior to the main meat dish. This was the traditional method of eating the pudding and is still common in parts of Yorkshire today. Because the rich gravy from the roast meat drippings was used up with the first course, the main meat and vegetable course was often served with a parsley or white sauce. 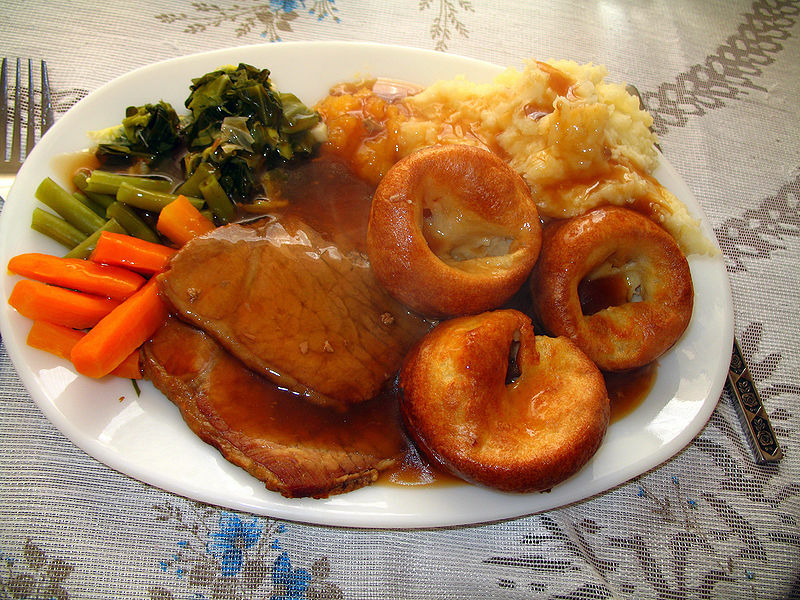 It is often claimed that the purpose of the dish was to provide a cheap way to fill the diners - the Yorkshire pudding being much cheaper than the other constituents of the meal - thus stretching a lesser amount of the more expensive ingredients as the Yorkshire pudding was traditionally served first. 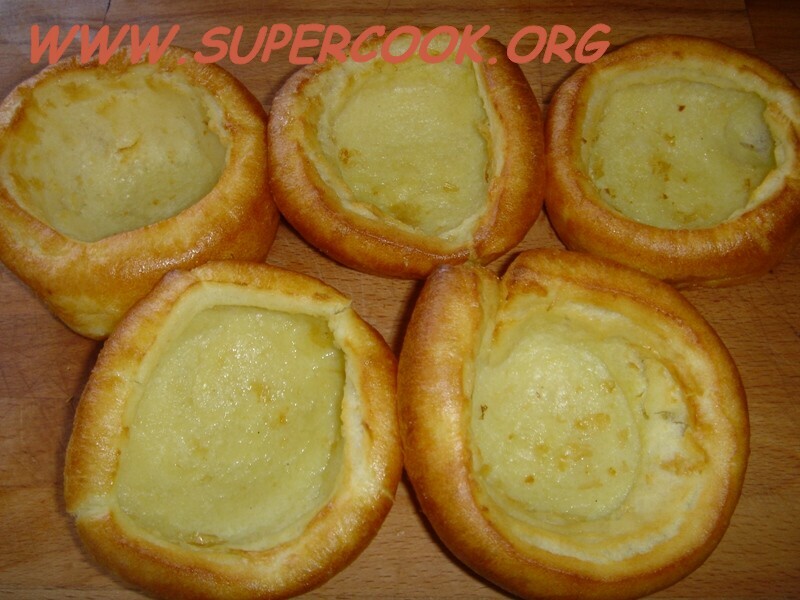 Yorkshire pudding is cooked by pouring a thin batter made from flour, eggs, butter, milk and seasoning into a preheated greased baking tin containing very hot fat or oil and baking at very high heat until it has risen and browned. It is then served in slices or quarters, depending on the size of the tray in which it was cooked. 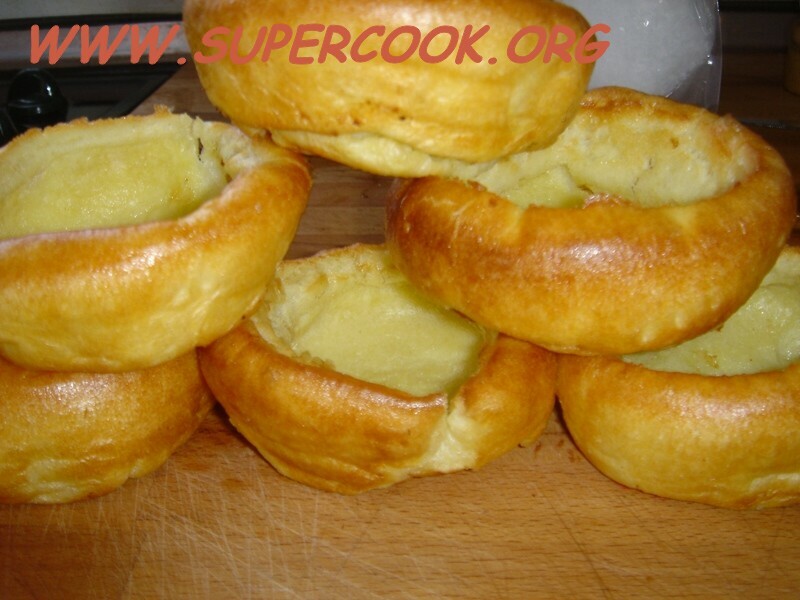 In recent years, it has become more popular to cook them in batches in bun tins (baked in muffin trays or baking tins like Popovers), making individual mini puddings. 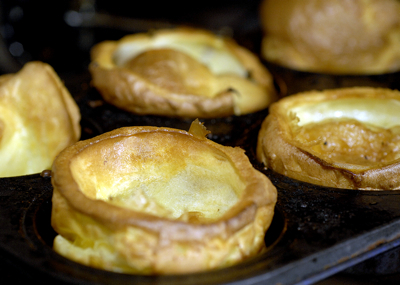 Traditionally, Yorkshire pudding is cooked in a large tin underneath a roasting joint of meat in order to catch the dripping fat and then cut appropriately. 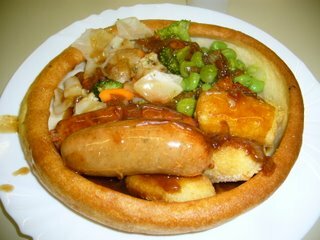 Yorkshire pudding may also be made in the same pan as the meat, after the meat has been cooked and moved to a serving platter, which also takes advantage of the meat fat that is left behind. When baked with sausages (within the batter), the dish is known as toad in the hole. 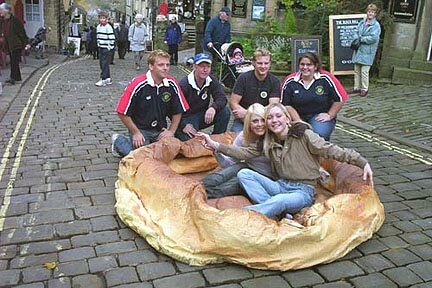 In pub cuisine, Yorkshire puddings may be offered with a multitude of fillings, with the pudding acting as a bowl. Heat the oven to the highest temperature possible, however, do not exceed 450° F/230° C or the fat may burn. 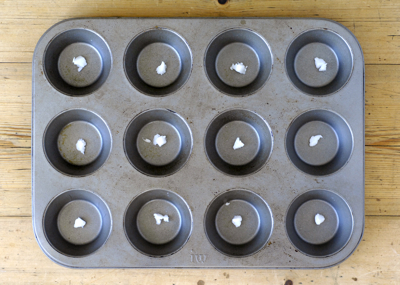 Place a pea-sized piece of lard, dripping or 0.5 tsp vegetable oil in a 12-hole muffin tin or Yorkshire pudding tin (4 x 2"/5cm hole tin) and heat in the oven until the fat is smoking. Give the batter another good whisk adding 2 tbsps of cold water and fill a third of each section of the tin with batter and return quickly to the oven. 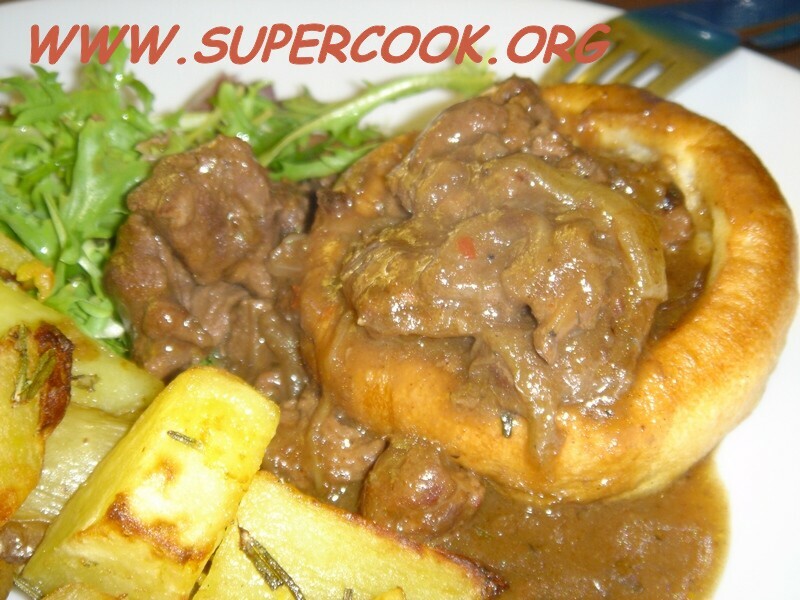 In Yorkshire the pudding is traditionally served with gravy as a starter dish followed by the meat and vegetables. 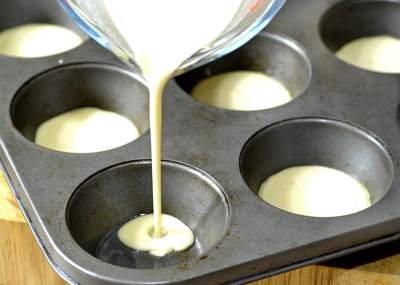 More often smaller puddings cooked in muffin tins are served alongside meat and vegetables.